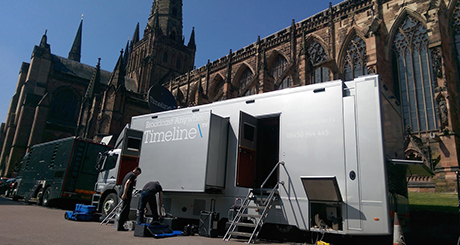 Outside Broadcasts - Timeline Television Ltd.
Timeline takes pride in providing innovative, leading edge outside broadcast solutions, and a willingness to offer flexible, value-for-money services that are tailored to the needs of each client. 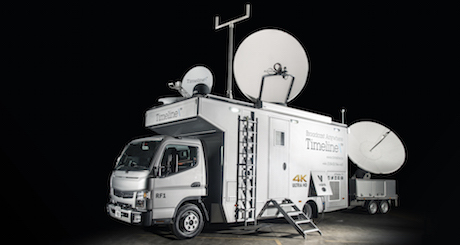 Timeline’s award winning, triple expanding, IP 4K HDR outside broadcast truck is one of the most advanced in the world. With an Arista 100G switch at its heart and SAM IP infrastructure UHD2 delivers large scale complex OBs simultaneously in uncompressed 4K UHD HDR and 4K UHD SDR. Timeline Television designed and built the first purpose-built 4K UHD outside broadcast unit in Europe, in conjunction with BT Sport. 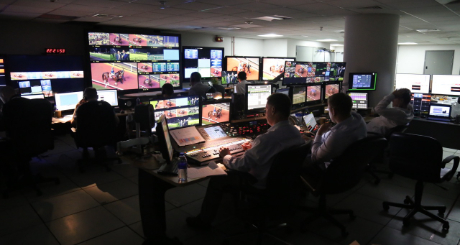 This cutting edge outside broadcast unit delivers 4K UHD programs to the same high standard as HD programs for complex live or as live production. 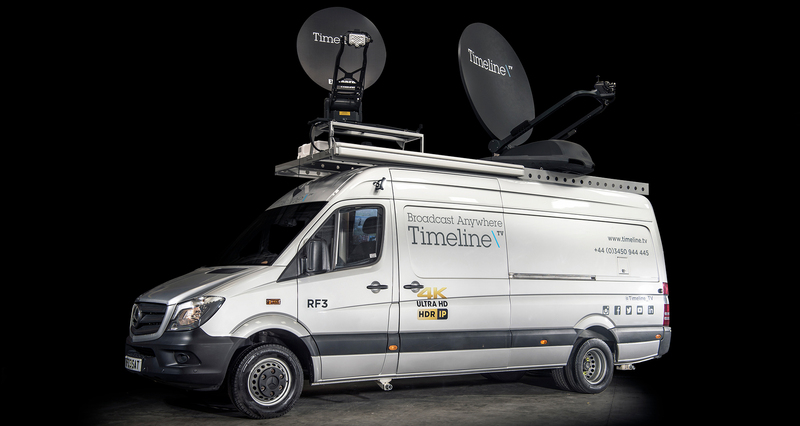 Timeline’s live 4K UHD/HD outside broadcast truck, OB16, is a medium size, single expanding unit that can cater for 12 cabled cameras along with multiple radio cameras. The unique feature of this OB truck is the built in 1.8 metre satellite dish and fully redundant uplink chain. RF1 is Timeline’s first compact satellite and 4K UHD production truck. 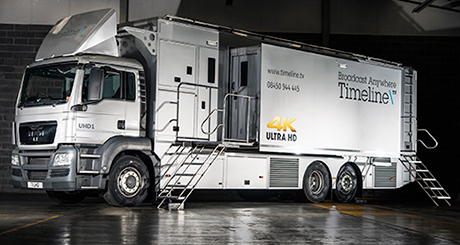 This unique compact 7.5t satellite and outside broadcast truck provides a dual 2.4m dish facility capable of delivering multiple UHD and HD uplinks. With its trailer-mounted second dish it forms one of the most powerful mobile satellite facilities in the UK. RF2 is a purpose-built 5 tonne 4K RF uplink truck that provides a dual chain 1.8m Advent Newswift antenna, capable of delivering multiple HD and UHD uplinks. 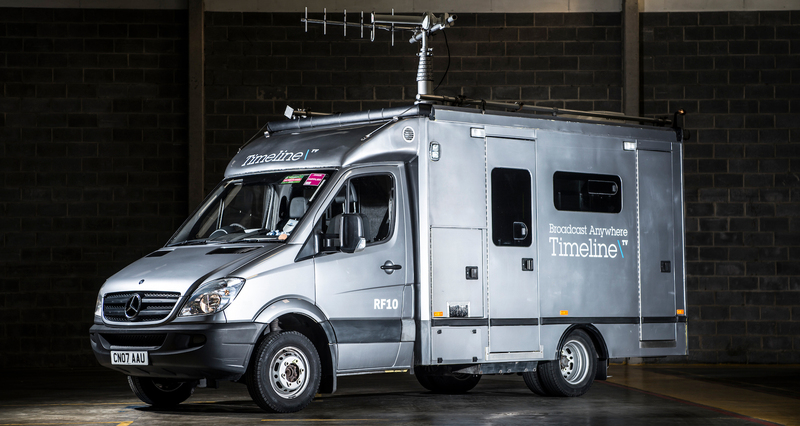 As well as being a traditional RF uplink truck, it can be used, for example, as a complete outside-broadcast unit, as a communications hub or as a newsgathering uplink truck. RF3 is a purpose-built 5 tonne 4K RF uplink truck that provides a dual chain 1.8m Advent Newswift antenna, capable of delivering multiple HD and UHD uplinks. As well as being a traditional RF uplink truck, it can be used, for example, as a complete outside-broadcast unit, as a communications hub or as a newsgathering uplink truck. Perfect for large-scale events and complex RF projects, RF10 is the ideal signal control point. 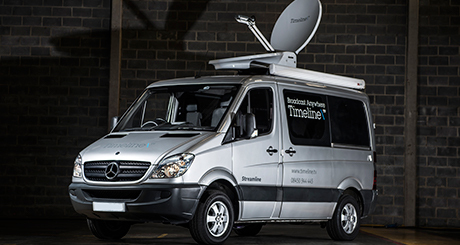 The bespoke RF vehicle has comprehensive monitoring and control, capable of handling multiple RF and talkback links. 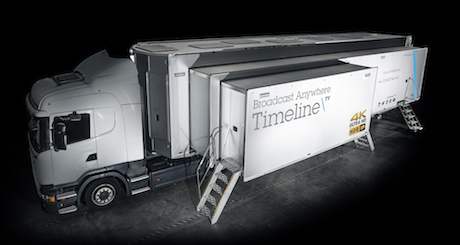 Timeline specialise in providing flyaway facilities for use in situations where an OB truck cannot be deployed. These flyaway systems offer cost effective solutions to television production.